While this might sound inconsistent coming from a custom picture framer, there are occasions and items when a simple ready-made frame is a solution. When items must be framed in a hurry, the use of a ready-made frame is often the answer. On other occasions, it might suit as a frame for those items on which you don’t want to spend a lot of money. Other possibilities for the use of ready-made frames can include items that are transient. Documents that need replacing on a regular basis and inexpensive prints bought to decorate spare rooms fall into this category. Broadly speaking the various components in a picture frame include; moulding, glass, backing board, hangers and possibly matboard. Many mass-produced frames are made from MDF or plastic which can severely shorten their lifespan. Look for those made from durable plantation grown timber. A piece glass for protection is a better option to easily scratched very thin plastic sheeting, while lightweight acid-free fomecore is infinitely superior to weighty masonite-like backing boards. The quality of the picture hanger is often an overlooked component in these frames. Plastic coated steel wire attached with metal hangers is a better option to easily dislodged flimsy clips. The fitting of the item within the frame should be an easy task. Unfortunately, this is something that is generally not easy to ascertain when the frame is shrink-wrapped. The backing board of the frame should be easy to remove without damage to fingertips and most importantly easy to fit the document or artwork into the frame. The option of having your item mounted down so that it doesn’t wave once fitted into the frame is a framing service that can make all difference to the look of the finished product. Finally, if a matboard is required the option of choosing your colour can only be provided by a picture framer. 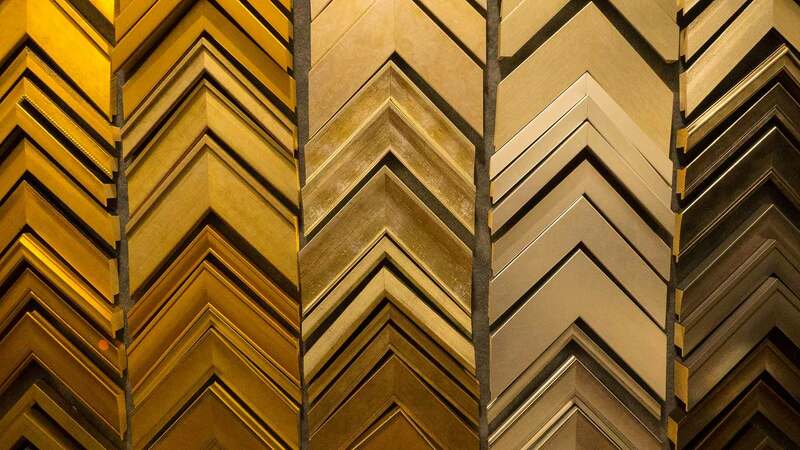 The bottom line is that if you purchase your ready-made frame from us, you can get in essence quality materials that we use for our custom framing work at substantially less cost. By making these frames available in a range of set sizes, mouldings and colours we can reduce their price significantly.